Just wanted to share with you my love for Co ords! To be quite honest, I've always loved the trend when it first came out, but have not actually been brave enough to buy any! I've been surfing the interwebs, and have found that they aren't actually that expensive, and they are so easy; no need to find something to match your new skirt or top! They are perfect for summer, I'm going on holiday in August and am planning to get some, but the question is which one(s) should I get? I *think* I've narrowed it down to these three options... but knowing me I'll be finding a few more that I like. These are all from Ark Clothing. There's some really nice pieces I would like to add to my summer wardrobe. Co-ords and prints? Even better! Hitting two trends at once. 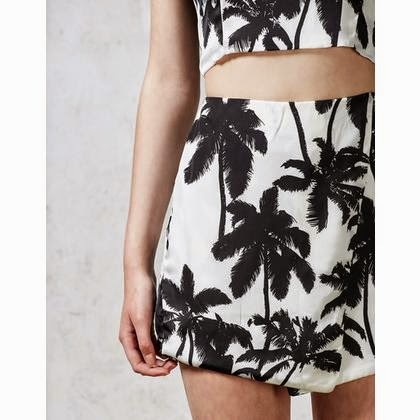 What I really like about these are that there are more than one option for each co-ord. & gingham, another big trend for SS14. I'm loving the asymmetric skirt ... but those shorts are cute too... so many choices! But omg.... their two piece set is amazing!! I think anyone would look great in these.